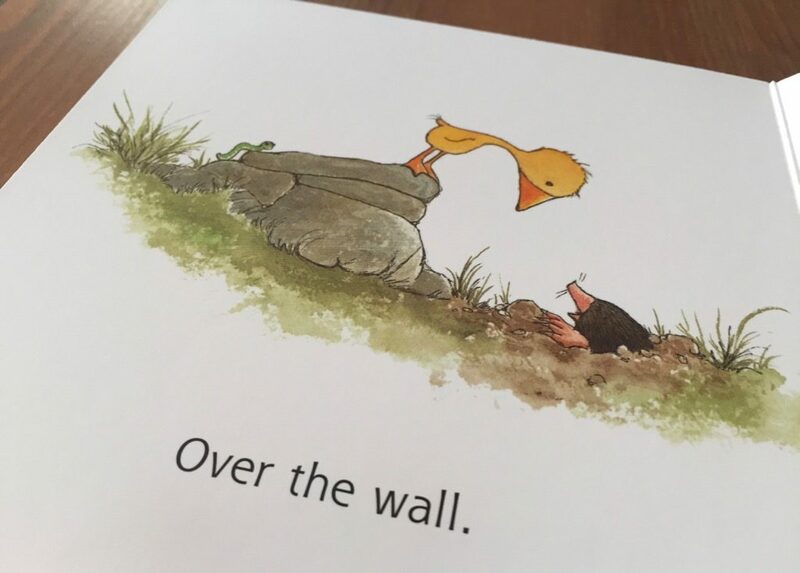 This book for preschool kids has a simple, captivating story and illustrations that are as illuminative as they are delightful. 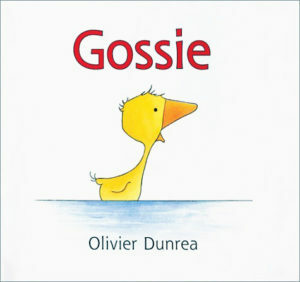 “This is Gossie,” begins the beloved book by author and illustrator Olivier Dunrea. “Gossie is a gosling. 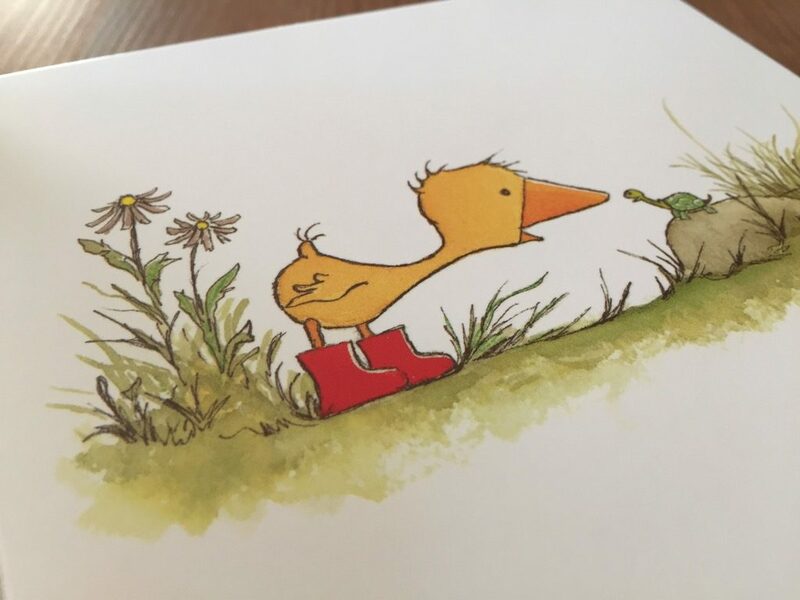 A small, yellow gosling who likes to wear bright red boots.” The tender story follows the baby bird on her exploratory outdoor adventures. 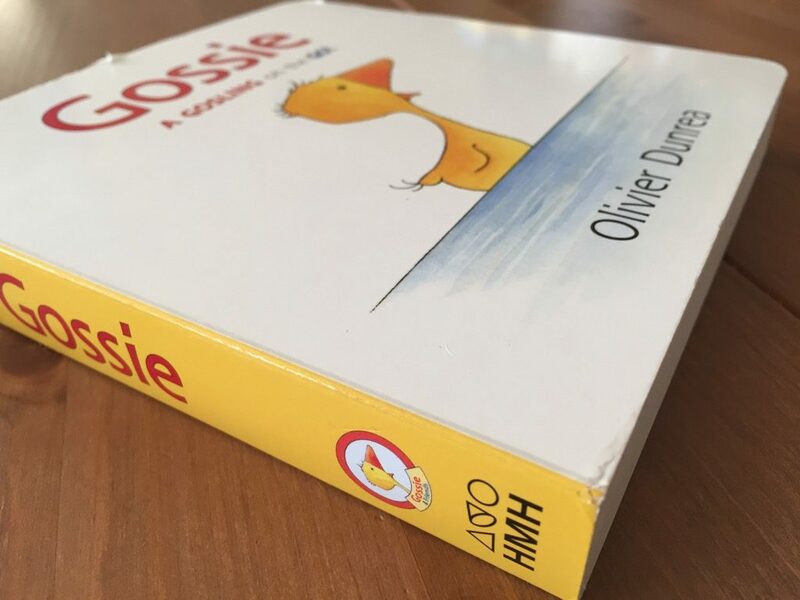 Gossie (public library) was an instant hit with young readers when it was first published in 2002. Featuring a simple, captivating story with beautiful illustrations, it was the first book in a series about Gossie and her friends. 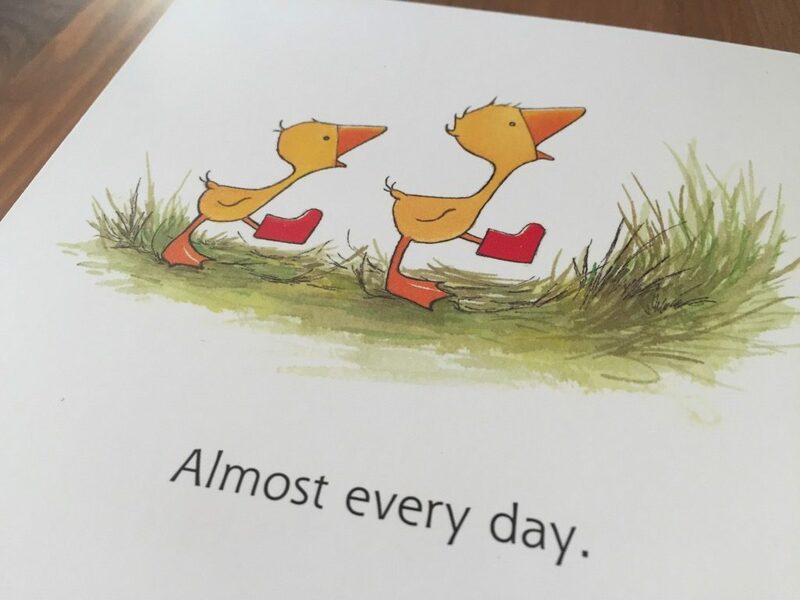 The book is perfect for toddlers and children in preschool. 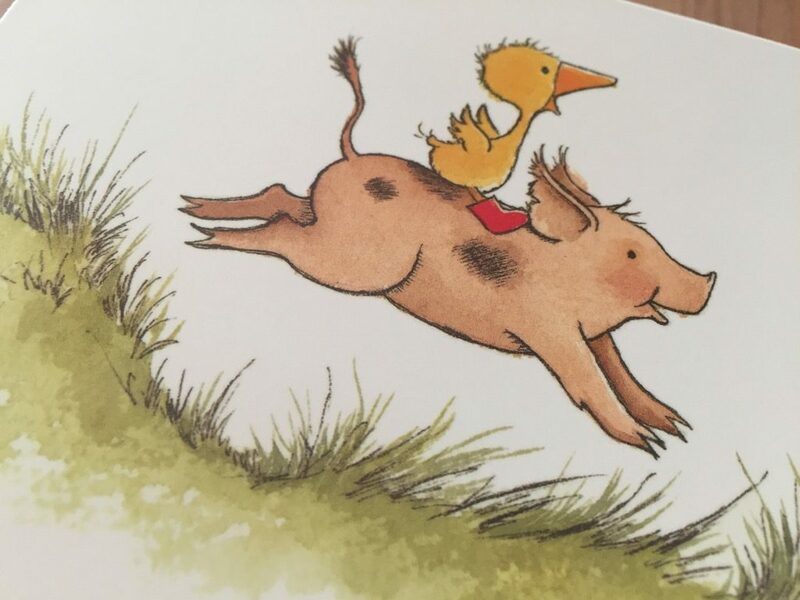 The illustrations, which are as illuminative as they are delightful, reinforce many important concepts for young readers, such as forward and backward, uphill and downhill, and rain and snow. Children will enjoy seeing the other animals and insects Gossie meets as she explores the farm in her red boots. This is Gossie. Gossie is a gosling. A small, yellow gosling who likes to wear bright red boots. Every day. She wears them when she eats. She wears them when she sleeps. She wears them when she rides. She wears them when she hides. But what Gossie really loves is to wear her bright red boots when she goes for walks. As the story unfolds, a problem emerges when Gossie loses track of her bright red boots. Try as she may, Gossie cannot find them anywhere. One morning Gossie could not find her bright red boots. She looked everywhere. Under the bed. Over the wall. In the barn. Under the hens. Gossie looked and looked for her bright red boots. They were gone. She’s heartbroken — until she discovers that another gosling is wearing them. 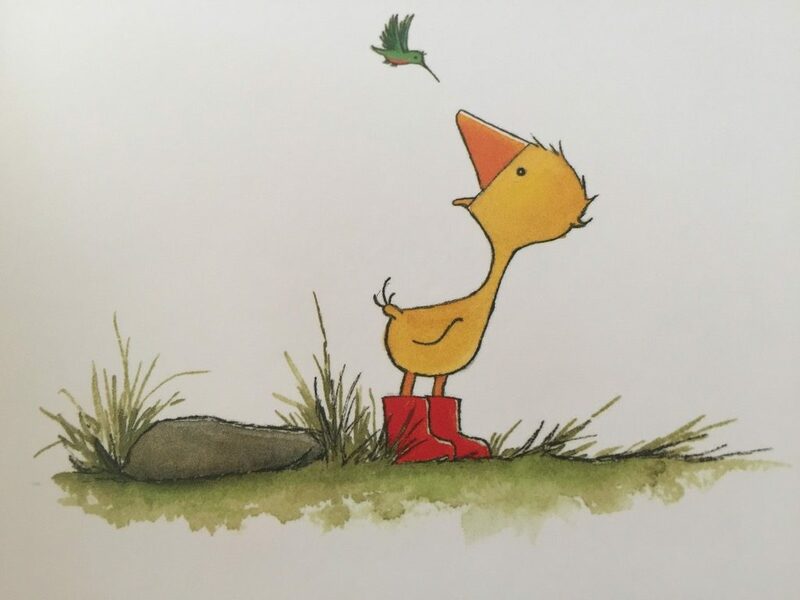 Now, some days, Gossie finds a way to share with her newfound friend, and the two set off together, wandering through the wonders of a widening world, each clad in one bright red boot. On his website, Dunrea explains where the inspiration for the story came from. Gossie & Friends began in 2001 with sketches of goslings while I was staring out the studio window watching Canada geese fly overhead, honking loudly. A pair of red rubber toy boots sat on my bookshelf for some strange reason. As I sketched goslings I started drawing them wearing red rubber boots. And that is how the idea for Gossie and her ‘bright red boots’ came to life. 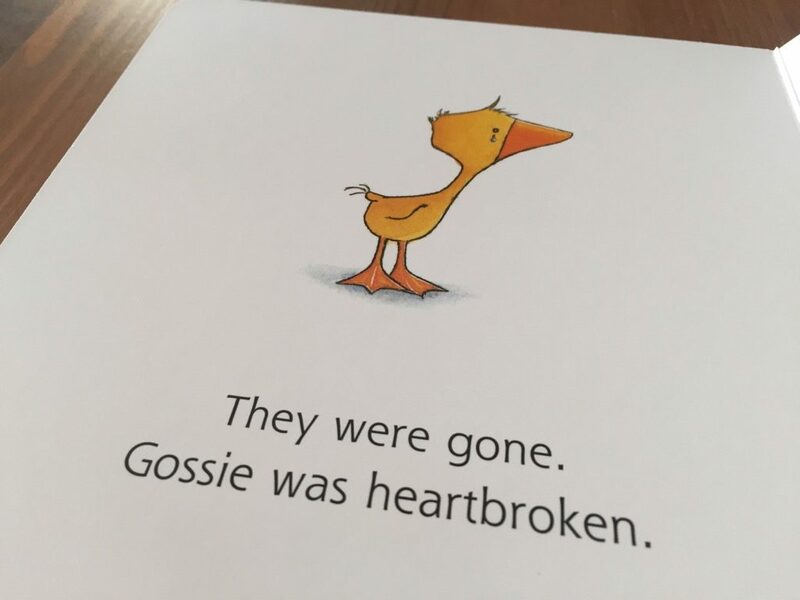 Gossie is a perfect children’s book for youngsters. The story is easy to follow, and the illustrations are simply delightful. Complement with The Giant Jam Sandwich, a humorous story about a massive wasp infestation, and Rude Cakes, a hilarious story that gently helps teach kids the importance of good manners.